I’m off on my summer break, but before I go, here’s all the latest whisky news. The Ncn’ean distillery, which claims to be Scotland’s first fully organic distillery, has opened on the Morvern peninsular (The Drinks Business). 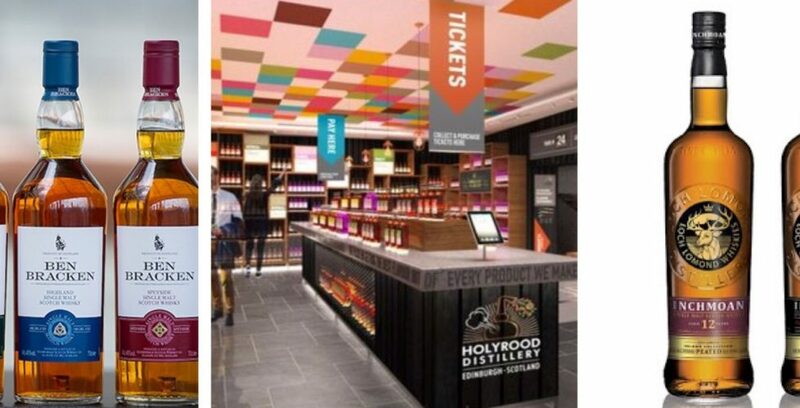 Holyrood Distillery, which will return distilling to Edinburgh after a 90-year absence, is looking to raise £5.5m (BBC News). Edrington has reported a hike in profits of one-third to £91 million (The Herald). And Eden Mill has declared itself on course to double turnover to £9 million (The Herald). Clydeside Distillery has recruited former Auchentoshan manager Alistair McDonald as its distillery manager (Insider). Ron Welsh has been announced as Rachel Barrie’s replacement at Bowmore (Scotch Whisky). R&B Distillers is undertaking barley trails, in the hope of growing and ripening barley on the island which is suitable for making whisky (The Whisky Business). Glenmorangie Distillery has worked with partners to bring oysters back to the waters of the Dornoch Firth (The Drinks Business). Israel’s Milk & Honey Distillery has unveiled what is thought to be the country’s first single malt whisky (The Spirits Business). Bars across Edinburgh will be taking part in the inaugural Edinburgh Cocktail Weekend from 6 to 8 October (Bar Magazine). And bottles salvaged from the SS Politician have fetched £11,625 at auction in Edinburgh (STV News). And terrible news – Old Pulteney will be discontinuing its fantastic 17 AND 21 year olds, due to a lack of stock (Scotch Whisky). Blair Bowman’s distillery challenge has raised over £10,000 for charity (Scotch Whisky).